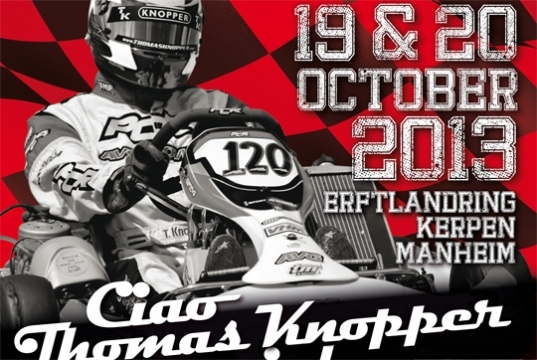 In just a few more weeks, on October 19 & 20, the 3rd edition of the Ciao Thomas Knopper Memorial will be held in Kerpen. A weekend of high-level karting that centres around sportsmanship, camaraderie and fun! Become a friend or sponsor of the foundation and you can win a VIP Weekend. We hope everyone joins us! Would you like to win this special VIP Weekend? Around October 10 we will pull a winner out of all the confirmed pledges.